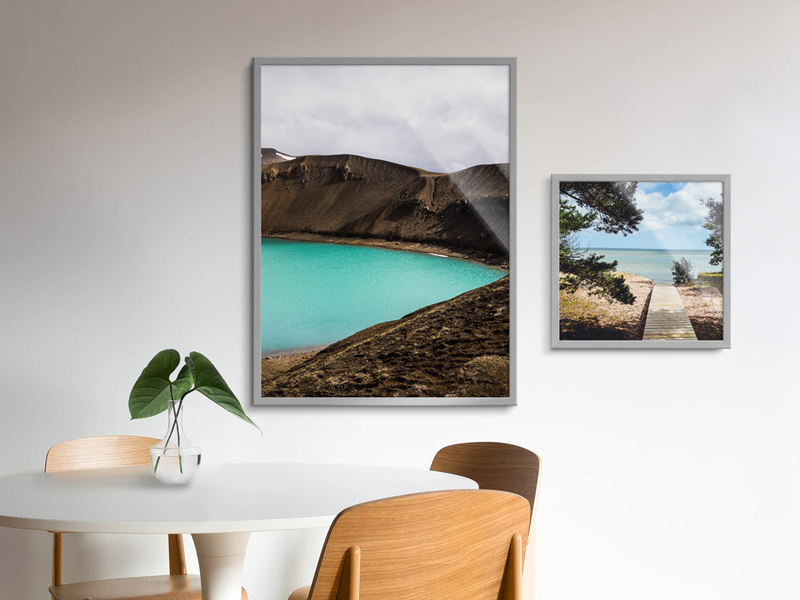 Aluminium picture frames give your photographs a contemporary and purist feel. They are especially great for architectural, technological, and black-and-white images. The aluminium standard frame is an excellent starter product. A classic exchangeable frame in a timeless design and at great prices. Glazing is included. In matte or with a silk shimmer finish: Classics for pictures of all kinds and various image contrasts. With a matt finish: The specialist for brilliant colours and strong contrasts. Monochrome with a matt finish: The master of black & white photography with depth of contrast, fade protection and precise greyscale. 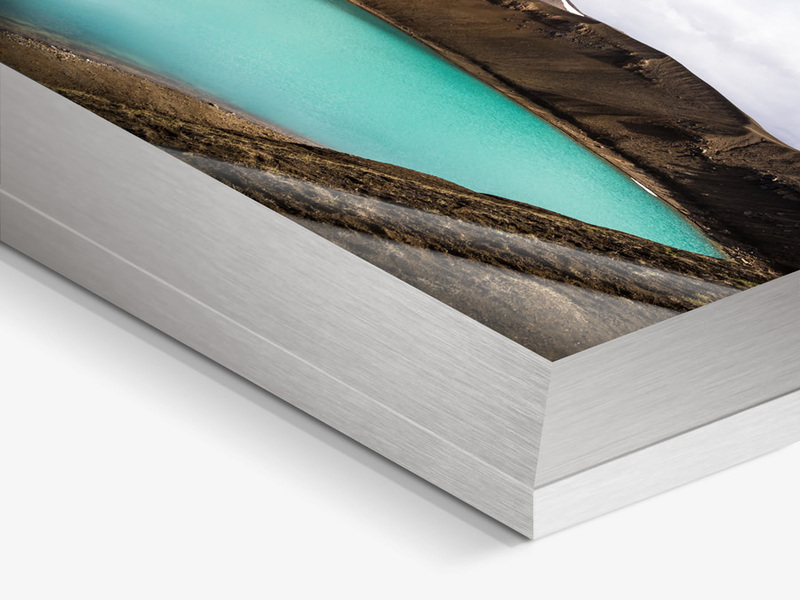 A classic, gallery-quality paper, especially thick with a silky surface. Bright white: for high-impact colours. The aluminium standard frames are available in a range of standard formats and sizes. Aluminium frames are ready to be hung right away. All you need are 2 nails, screws or hooks to hang your picture on the wall immediately. Great style doesn’t have to be expensive. That applies for fashion, interiors – and for the presentation of your photos. For example in the aluminium standard frame by WhiteWall. You simply can’t go wrong with this product for beginners. The frame has a timeless look and is as uncomplicated as it could ever be. It is robust and available in two colours and widths; the backing is easily removed if you ever want to exchange the photo within. The aluminium standard frame will accompany you for years to come: It adapts to your style changes over time and will always be the perfect frame for the image you love most. But WhiteWall – of course – has much more to offer than just standard: We offer all kinds of frames in various sizes and price categories. A perfect match whatever your interior concept. We offer a wide range of styles and four types of glazing for our gallery frames with passe-partout. Glossy float glass is one of our popular favourites for any presentation. Matt float glass is particularly popular as it prevents unwanted reflections. Acrylic glass is the best solution for pictures that travel a lot, as it is lighter in weight and much more durable than regular glass. Anti-glare Miroguard museum glass is our premium product for impressive depth of field and brilliance with reduced light reflection. WhiteWall also offers a wide range of photo paper types for your photo in a passe-partout frame. The choice ranges from branded photo papers for original photo prints to inkjet prints on Hahnemühle paper. We also offer various WhiteWall products that don’t need any frame at all. Here too, we offer products for beginners like direct prints on Forex. At some point, every beginner advances to become a semi-professional and quite often finally a seasoned pro – we have the right product to accompany you on your way. 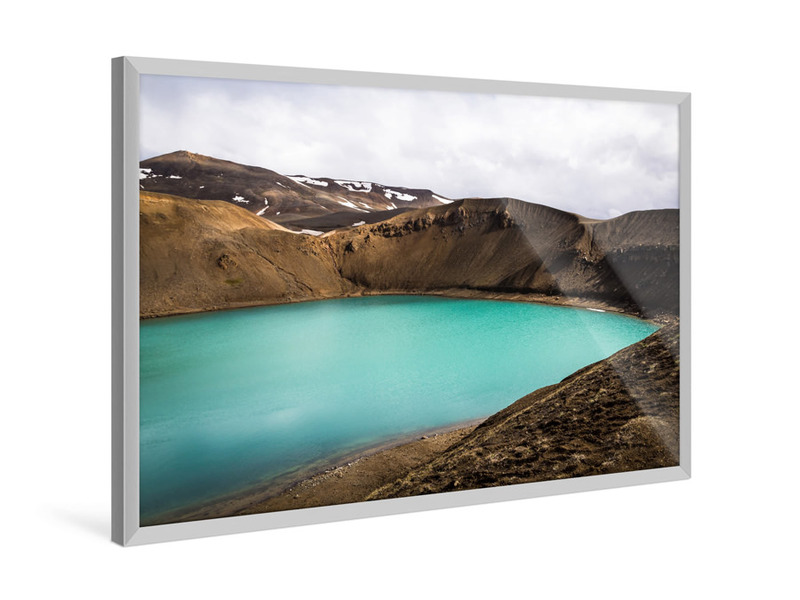 Original photo prints laminated under acrylic glass are among our favourite products. Frameless and beautiful. Here too, WhiteWall offers affordable products to get you started: A glass thickness of just 2 mm ensures good acrylic effects. At 4 mm you are entering the professional segment, and at 6 mm you will have grown far beyond that status of enthusiastic amateur. 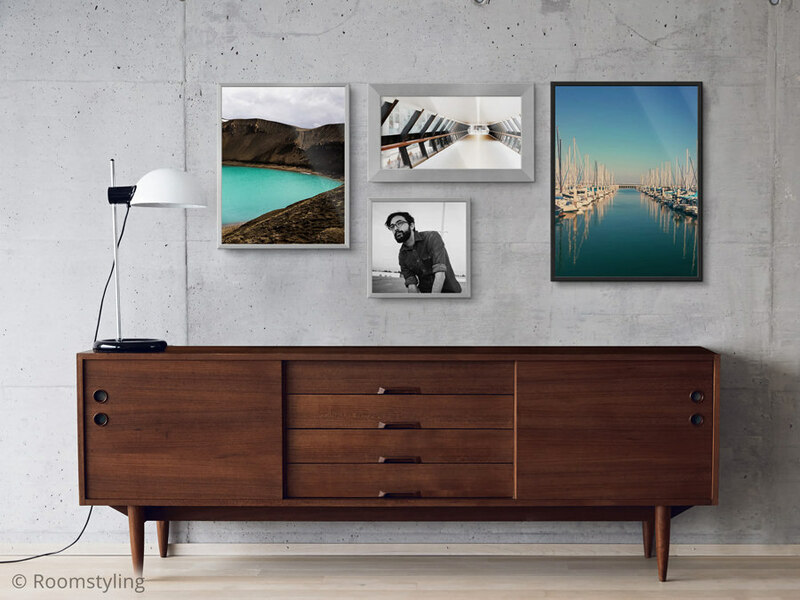 Prints on canvas can also be hung without a frame and their multidimensional look and feel makes them a popular favourite – perfect for images from nature like portraits, still lifes and artistic projects. We offer the right product for every requirement. And as we said before: Great style doesn’t have to be expensive.